When we come closer to love we come closer to God and to all that He wills for us. I firmly believe we each are here in this life to learn to love. Some are challenged by trying to love others, some are challenged to learn to love themselves. Love is the key to the answer to life… to experience the spirit of love is to feel the presence of God. The world likes to trick us into thinking love is attraction, passion, excitement… yet this love is often fleeting and illusionary at best. Spiritual Love… REAL Love has more depth, more gentleness, more kindness, more patience, more forgiveness, more peace than the world’s version could ever offer! God is Love. Where Love resides, God is there also! Ann, your list of qualities for Spiritual Love should probably include ‘more commitment,’ because commitment is also vital in love. Interesting thought Chas. why do believe this? Ann, the lack of commitment in marriages leads to strife and divorce; the lack of commitment to a potential partner leads to the failure to enter into a marriage or civil partnership (themselves a declaration of commitment). Those who fail to make a commitment are deliberately leaving themselves an exit so they can leave the relationship if it fails to measure up to their expectations. In the same way, people who do not make a commitment to God are leaving themselves an exit route in case their relationship with Her fails to come up to their expectations. If we truly want to come closer to God, She will give us a way to make it possible, but we still have to make the commitment to go closer, by doing what She wants us to do. We will have to take a deliberate step in order to go forward toward Her. Love this. 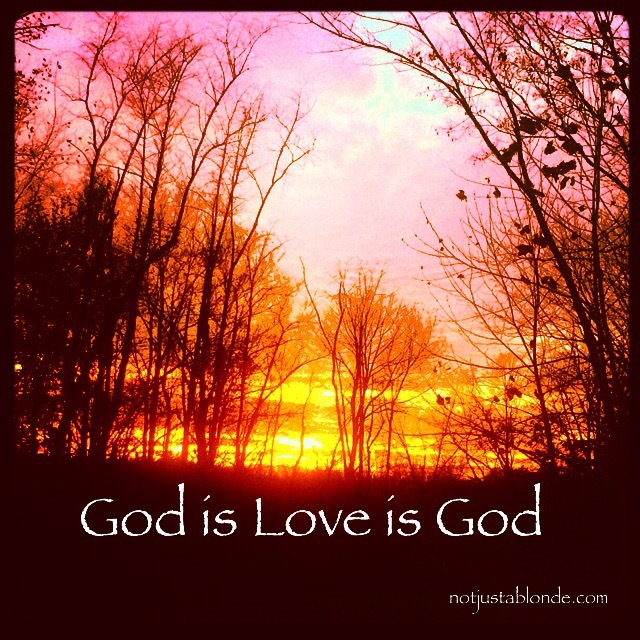 God is love and loveis God. How we can stay in love with God in the daily basis? When life gets really hard? This is one of life’s greatest challenges. I believe prayer is the key to staying connected. Just like any rekationship on Earth, communication is key. Through prayer we are able to express our fears and our needs… yet we also need time when we can quiet our soul to listen and to be aware of God’s voice and presence.